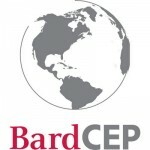 Bard graduate Dalia Najar– BA ’14 (Biology) and MS (Environmental Policy) ’17– made history two years ago as the youngest Executive Manager ever in her company, Farouk Systems, which produces hair products in Palestine. Now she has helped steer a $1,000,000 donation to support investments in Palestinian agriculture. Farouk Systems uses herbs, olive oil, and natural extracts to manufacture their products. Until now, the company imported those raw materials from outside the country. 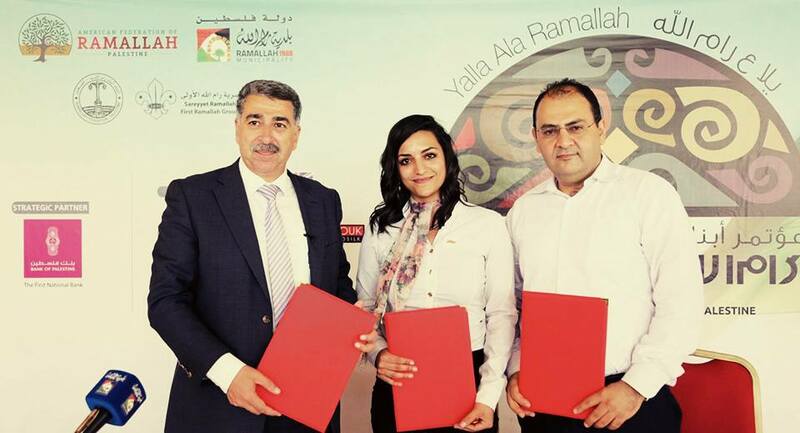 Dalia Najar at the signing agreement with Mousa Hadid, Mayor of Ramallah City (R), and Hanna Hanania, the President of the American Federation of Ramallah (L). Dalia has been working to empower local producers of these inputs: small landholders and small-scale producers. The donation came from Farouk Shami, owner of Farouk Systems. 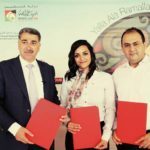 The funds will be used to establish new farms and support sustainable farming practices for suppliers of the company, improving environmental quality and supporting sustainable development in Palestine.